Katya practices in the firm's Business Law Practice Group assisting private equity clients and middle market family-owned businesses with complex commercial transaction. Katya uses her extensive experience in corporate law to serve as a trusted advisor to owners and senior executives on a broad spectrum of issues. Katya’s main focus is representing clients in connection with M&A transactions that have transaction value from $1.0 million to $400 million. 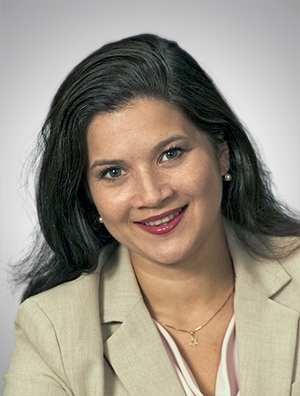 Katya has extensive experience in drafting and negotiating a variety of commercial agreements including master supply/service agreements, distribution agreements, reseller agreements, licensing agreements, and private label agreements. Prior to entering the practice of law, Katya spent over 10 years in finance, part of which as a treasury manager at Rockwell Automation. She led various initiatives, including participating in acquisitions, developing and managing international cash reporting, managing international liquidity, and providing support to investor relations group. Above all, clients value Katya for providing business-focused and practical legal advice, explaining complex legal results and consequences of any actions in a manner understandable to those who do not have a legal background, providing pragmatic approach to legal negotiations that is centered on achieving business objectives in a responsive, efficient and effective manner. Represented a private equity client in efforts to acquire and dispose of portfolio companies, including in the automotive component, food products, packaging, and receivables services industries. Negotiated and drafted a variety of agreements, including license agreements, supply agreements, private label agreements, consulting agreements and joint development agreements for service and manufacturing companies. Represented a packaging company in the acquisitions and divestitures of subsidiaries and divisions – $60-200 million. Represented shareholders of a Midwest manufacturing company in the sale of the business to an international buyer - $500 million. Represented a national roofing company in several acquisitions of privately-owned companies - $10-50 million. Represented a mining company in the acquisition of another international mining company - $220 million. Represented venture capital companies in acquisitions, mergers and divestitures - $10-300 million. Represented a manufacturing client in negotiating a 5-year private label agreement - $10 million. Represented a manufacturing client in the add-on acquisition of an international business in the medical supplies industry - $30 million. Represented a for-profit education institution in negotiating licensing arrangements - $200,000-400,000, and sale of a division - $5 million. Developed standard contracts, procedures for review and negotiation positions, and provided the associated training.